Duane Rohrbacher comes to Stevens Strategy after having worked in student affairs at Cal Poly, San Luis Obispo and Palmer College. He has experience in student discipline, behavioral intervention, Title IX administration, disability services, career services, and international student services. 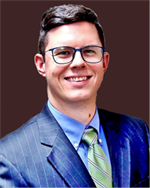 In addition, he has experience creating assessment tools, providing policy recommendations and manual updates, and conducting qualitative and legal research. Duane is a Senior Consultant with Stevens Strategy and has experience with a number of higher education organizations, non-profit organizations, and community centers. He holds a B.A. degree in Linguistics and German from The Ohio State University, a J.D. from Penn State University, Dickinson School of Law, and a Ph.D. in Higher Education Administration from Penn State University.